Make sure whatever you're pouring is at least SPF-100, yagetme?! Public drinking is awesome, but it requires some forward-thinking if you’re going to do it well. How are you going to refill when you run out of booze? How are you going to get home when your al fresco bender is over? And, most importantly, how are you going to conceal your drink so the fun doesn’t get spoiled by the law? The latest tool in your arsenal—to complement these ingenious inventions that you should already own—is this Sunscreen Flask Bottle from Smuggle Your Booze, a for-the-people type of company that also sells flasks designed to look like hand sanitzer (perfect for the office!) and tampons (perfect for everywhere!). You can get one for $10 on Amazon (or you could just, like, clean out an old container of sunscreen yourself). 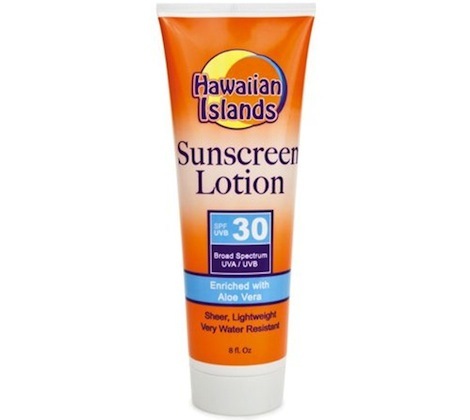 Of course, the Sunscreen Flask is the right move if you want to sip rum on the beach or bring a few nips of whiskey to the park. But if it’s outdoor brews you’re craving, go for these incognito craft-beer cans.